Made of Weather-Proof 1680-D Ballistic Nylon with moisture resistance laminated vinyl. Unique designed with dual door style, only one hanger needed. 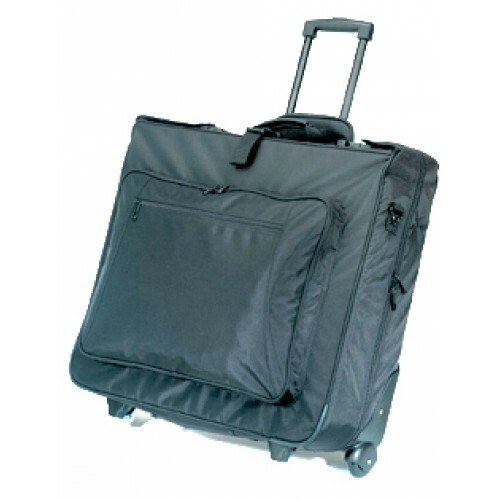 Designed to hold 2 to 4 suits or dresses, three large exterior pockets. 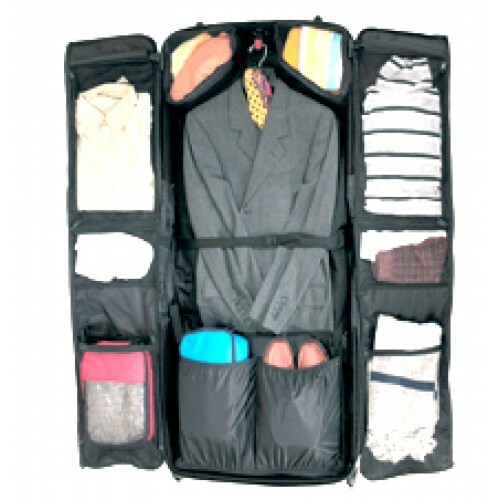 Comes with multi-interior pockets for clothing, shoes, and toiletry belongings. Heavy-duty telescopic handle and gripped webbing handle on top. Skate ball-bearing wheels. Ergonomically design padded straps with non-slip and exhalation mesh. This item is for special order only min order 500pcs. no inventory is available. Size 50" x 24" x 4"
Imprint Size 11" x 10"